We’re learning more about a collision on the South Coast that killed a young boy, injured three others and caused a gasoline spill. The California Highway Patrol says it happened just before 8 am Friday at Highway 118 at Balcom Canyon Road in Moorpark. 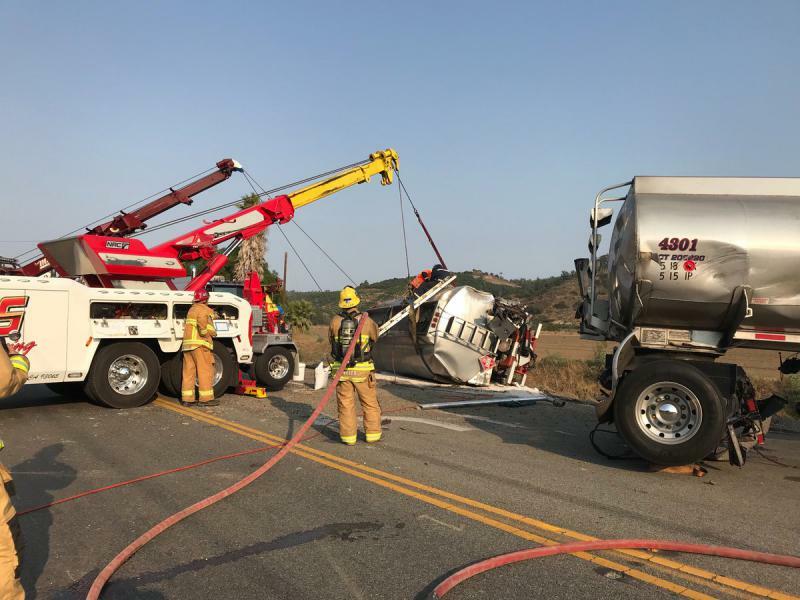 Authorities say Veronica Viveros of Somis, who was driving with her two children, was making a left turn from southbound Balcom onto the eastbound 118 when she collided with a double tanker truck carrying 8,000 gallons of gas. 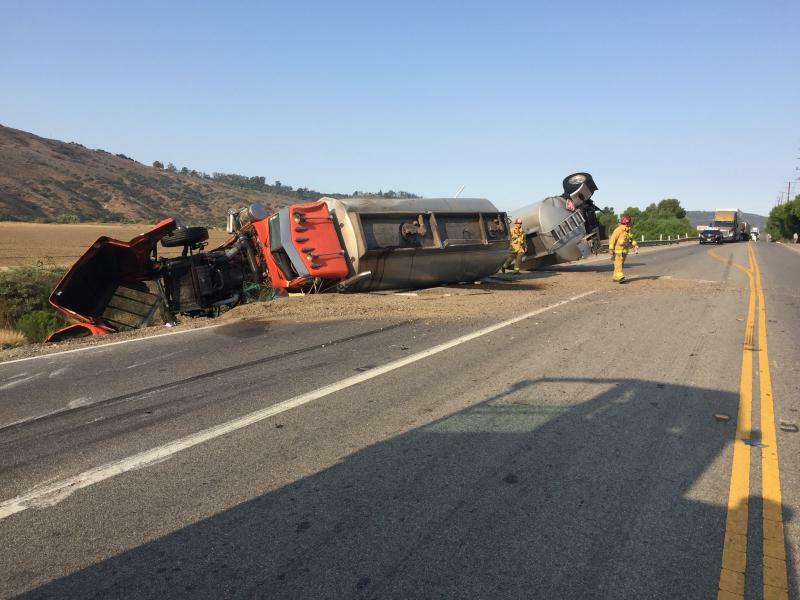 A section of highway 118 in Ventura County closed following a collision between a tanker truck and another vehicle on Friday morning. The accident occurred at 7:51 on Highway 118 near Balcolm Canyon Road, east of Somis. The tanker truck was carrying fuel.